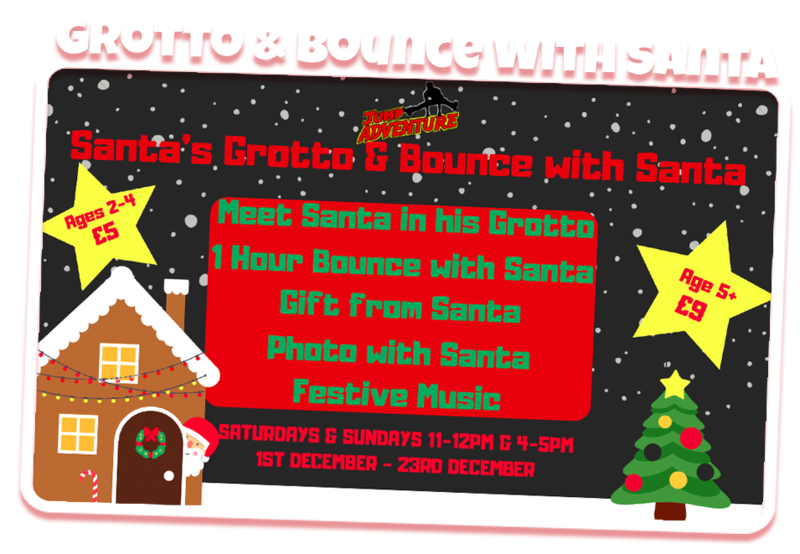 Join us every Saturday and Sunday throughout December for a festive bounce with Santa plus entry to his Grotto where you can meet and greet Mr. Claus, have photos and receive a gift. Sessions are at 11am and 4pm. 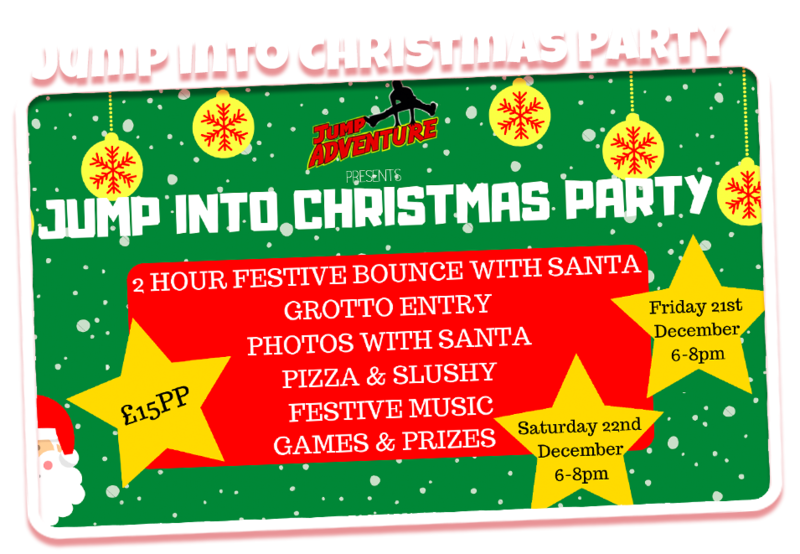 Jump into Christmas with us on the 21st and 22nd December for our Christmas Party! Celebrate the end of term and the start of the festivities!